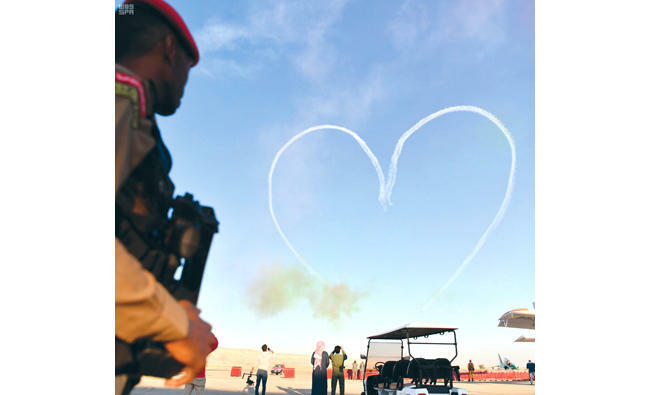 RIYADH: Over 60 airplanes and aerobatic teams from Saudi Arabia and the UAE took part in air and ground shows, including skydiving and paragliding, at the fourth Saudi Aviation Forum which was opened by Riyadh Gov. 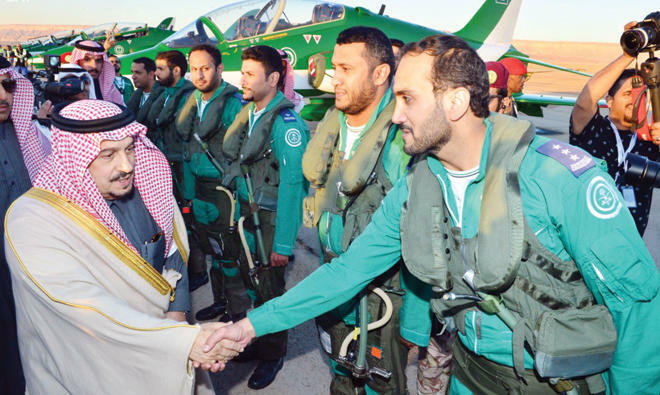 Prince Faisal bin Bandar at Thumamah Airport on Thursday. Speaking on the occasion, Prince Faisal described the fourth round of the forum as effective in displaying the Kingdom’s air capabilities and their safety. “The Saudi Aviation Club has proven its existence over the years. We are happy to coordinate with the club in all its activities,” the governor said. The governor also attended an exhibition, which is being held concurrently with the forum, and also witnessed drone operations, parachute jumps, and viewed aerobatics performed by the Royal Guard, the Saudi Falcons and the Emirates Knights teams. Prince Sultan bin Salman, the founder and chairman of the Saudi Aviation Club (SAC), thanked King Salman for his continuous interest and support for the Saudi Aviation Club from the time when he was governor of Riyadh. He also expressed his appreciation to the supporting bodies of the club, particularly GACA, the General Authority for Sports, the Supreme Authority for the Development of Riyadh city, the ministries of interior and transport, and security authorities. Prince Sultan pointed out that the SAC has been working in cooperation with GACA in implementing the highest levels of safety to ensure that the practice of aviation is safe and simulates the best international standards. He also noted that the club is preening itself to become one of the largest and most important public aviation and air sports clubs in the region, especially with the growing number of youths in the Kingdom interested in this area. The forum is the largest of its kind in the region and the most important gathering for air enthusiasts. It is an initiative of the SAC to celebrate air sports and contribute to the dissemination of an aviation culture. 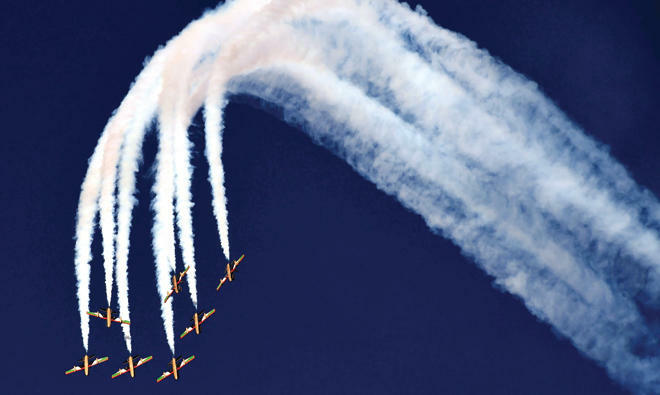 The forum, which will be held through Saturday, will include air shows with various types of aircrafts, an accompanying exhibition of the sponsors, parachute jumps, paragliding, remote-controlled aircraft, in addition to the air and ground show.